Just when you thought your first tweet was embarrassing, here's how the world of hip-hop dealt with the arrival of Twitter into their lives. 1. 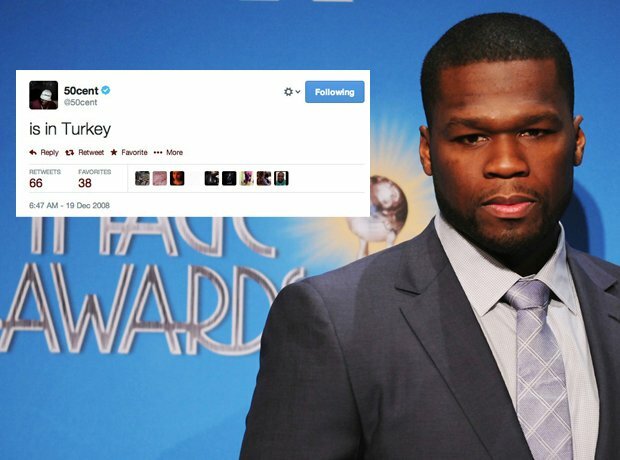 50 Cent didn't quite understand that you didn't use Twitter like Facebook. 3. And Tinie hadn't figured out that he only had 140 characters to write each tweet yet. 5. Swizz Beatz used Twitter as a change to find Matrix. 6. Angel Haze wasn't particularly feeling Twitter - she was too busy on the phone. 7. Ms Dynamite "Failed" but what did she fail at? 9. Professor Green basically predicted the future. 10. Wale cracked quite a funny rhyme. 11. Pharrell was basically Pharrell and just super nice and humble. 12. Lil' Wayne was tweeting about prison. 14. Rick Ross posted lyrics from his powerful song 'Tears Of Joy'. 15. Nicki Minaj FINALLY joined after being convinced by her management. 16. Diddy tweeted that he was busy trying to become an actor. 17. Jay Z just took the chance to introduce himself.